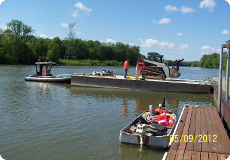 25' X 11' 200HP with spuds and PK 9001 knuckle boom crane push barge. 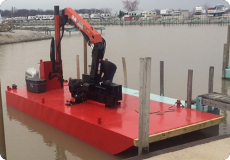 15' X 8' 40HP jet power deck barge. 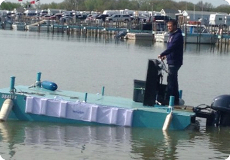 23' X 11' hopper barge with spuds. 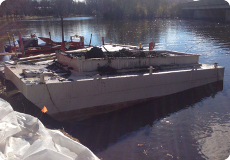 65' X 26' deck barge. 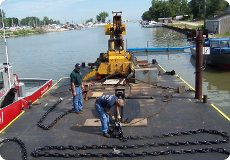 65' X 28' or 40' X 28' transportable barges.